One of the biggest and best play centres in North Wales. Catering for children young and old, with a huge three tier structure, and a dedicated play area for toddlers. Our cafe keeps children and parents hydrated and stocked up with energy. Please be aware we do have Private Hire Parties held on various dates, call ahead to check if we have a party booked in on the day of your visit to avoid disappointment. 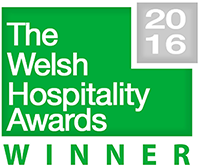 Winner of the Welsh Hospitality Awards Children’s Play Centre of the Year. A huge thank you to all our customers. Without you this would not be possible.